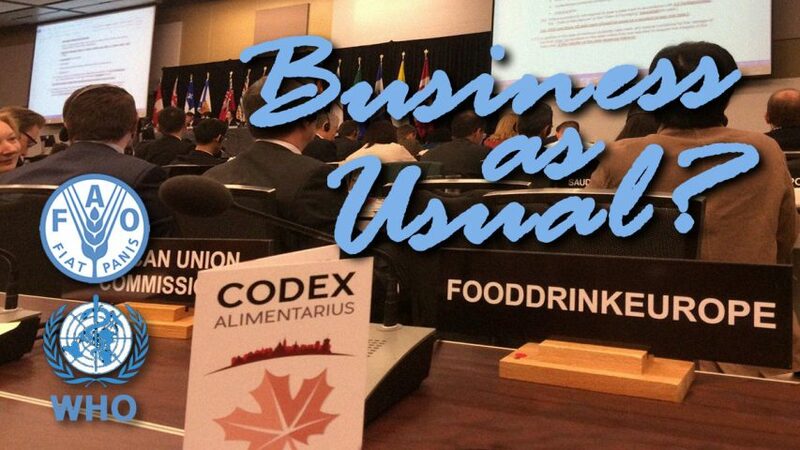 Codex meeting in Ottawa: Business as Usual, or “Stunning Victory” for Health Freedom? 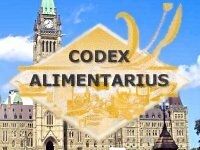 May 1-5, 2006, saw the thirty-fourth meeting of the Codex Committee on Food Labelling (CCFL) take place in Ottawa, Canada. Along with the Codex Committee on Nutrition and Foods for Special Dietary Uses (CCNFSDU), CCFL is one of the main Codex committees whose work is increasingly threatening the future of natural healthcare and health freedom. Reporting on the meeting, Rima Laibow and Major General Albert (Bert) N. Stubblebine III (U.S. Army, Retired), founders of the so-called Natural Solutions Foundation, curiously chose to describe the outcome as having been a “Stunning Victory” for health freedom, despite the fact that this assertion has absolutely no basis in fact. So, what really happened in Ottawa, and why are Codex reports issued by the Natural Solutions Foundation increasingly at odds with those of more experienced observers, including even those of its own Legal Counsel? As the following article shows, not only was there no “Stunning Victory” for health freedom at this meeting, but in reality the Codex position remains blindly ignorant of the benefits of dietary supplements. As such, the Codex Alimentarius Commission’s increasingly desperate attempts to protect the global markets in pharmaceuticals, artificial food additives, agricultural chemicals and genetically-modified foods will, for the time being at least, continue exactly as before. The reality of this therefore calls into question not only the credibility of the Natural Solutions Foundation, but also the possible motivations of its founders. Rima Laibow’s background is in psychiatry, for example, whilst Major General Albert (Bert) N. Stubblebine has held several senior posts in US Army Intelligence. More recently, together, they sat on the Board of Canadian Submarine Technologies Inc, and claimed to be the designer of AEGIS, “a major Homeland Security private initiative”. Perhaps unsurprisingly then, the wildly inaccurate Codex articles emanating from the Natural Solutions Foundation are now believed by some to be part of a willful attempt to divide and discredit the health freedom movement via the widespread dispersal of misinformation and disinformation, and thus as acting clearly and squarely in the interests of the “business with disease”. Key items on the Codex Committee on Food Labelling’s agenda this year included the Implementation of the WHO Global Strategy On Diet, Physical Activity and Health; Guidelines for the Production, Processing, Labeling and Marketing of Organically Produced Foods; the Labeling of Foods and Food Ingredients Obtained through Certain Techniques of Genetic Modification/Genetic Engineering; and a Discussion Paper on Advertising. Each of these items are examined in detail below. The background to this agenda item goes back to the July 2005 meeting of the Codex Alimentarius Commission, in Rome, where it was decided that the potential areas for action by Codex in relation to the implementation of the WHO Global Strategy were mainly relevant to the work of the Codex Committee on Food Labelling (CCFL) and the Codex Committee on Nutrition and Foods for Special Dietary Uses (CCNFSDU). As a result it was agreed that the World Health Organization (WHO), in cooperation with the Food and Agriculture Organization of the United Nations (FAO), would produce a document for consideration by these committees, including specific proposals for new work. The discussions in Ottawa began with a presentation by Janice Albert, a Nutrition Officer from the Nutrition and Consumer Protection Division of FAO, who summed up the background to the discussion paper and outlined further areas for developing the Global Strategy. Significantly therefore, and as also confirmed by the National Health Federation, Ms. Albert did not make a single mention of food supplements during her entire presentation. Require that the Chairpersons of CCFL and CCNFSDU report to the Codex Alimentarius Commission every other year on the status of the implementation of the WHO/FAO GLOBAL STRATEGY ON DIET, PHYSICAL ACTIVITY AND HEALTH and items 1-10 listed above. Enhancing and improving the label information about the nutritional aspects of foods offered to consumers to assist them in making informed choices about foods to improve their health. In this regard, making nutrition labelling mandatory even in the absence of claims was suggested by several delegations. The importance of truthful and non-misleading marketing practices and advertising in the promotion of the nutritional aspects of foods was mentioned as part of the implementation of the Global Strategy. Food standards: It was noted that Codex standards should not impede the development of modified versions of these foods intended to assist consumers in improving their food choices. Sound science: The importance of a sound scientific basis for any actions taken to implement the Global Strategy was emphasized. The work on the framework for the scientific basis for health claims was noted in this regard. Improving access to information that is adequate, accurate and truthful is important and particularly challenging with low levels of literacy. Chairperson’s summary of comments and proposals made regarding Implementation of the WHO Global Strategy On Diet, Physical Activity and Health, at meeting of the Codex Committee on Food Labelling (CCFL), in Ottawa, Canada, May 1-5, 2006. For example, crucial pro-health freedom language proposed by the National Health Federation relating to the optimizing of health and nutrition was opposed by the United States (represented as always at this meeting by the US Food and Drug Administration) and was consequently excluded from the list of five themes described above – despite having initially been accepted by the Chairperson for inclusion in the report. Significantly therefore, neither the text of the current WHO/FAO discussion paper nor even that of the Global Strategy itself makes any mention of the word “supplements” or of the terms “dietary supplements” / “food supplements”. In addition however, and contrary to claims being made by the Natural Solutions Foundation, Codex has not been directed to implement the eleven proposals made by South Africa. Moreover, the fact that South Africa’s proposals were summed up in 9 lines in the official report released following the meeting can hardly be described as a “Stunning Victory” for health freedom, regardless of their merits. To draw an analogy, saying so is akin to claiming that when a politician stood up in Parliament and made a great speech his statements were a stunning victory for his policies because they were summarised in the minutes. Seasoned observers of Codex, FAO and WHO will not find any of this surprising, of course, as all three of these organizations have a long track record in defending the interests of the “business with disease”, and thus in having direct responsibility for the suffering and deaths of countless millions of people. Moreover, experienced observers are also becoming increasingly used to reading erroneous claims by the Natural Solutions Foundation that miracles have taken place at Codex meetings, and so in this sense too, one could definitely say that the Committee on Food Labelling’s meeting in Ottawa this year was business as usual. Under this agenda item the Committee considered substances to be permitted as additives for use in organic food production. Worryingly therefore, some of these substances, although natural in origin, are known to cause allergic reactions in some people. An example of such a substance is sulphur dioxide, which may precipitate an asthmatic attack in asthma suffers or headaches or hives in others. Nevertheless this substance is being considered for approval by the Committee for use in organic cider, perry and wines. Similarly the Committee is also considering approving the use of sodium nitrite as a colour retention agent and preservative in cured (including salted) and dried non-heat treated processed organic meat, poultry and game products. Sodium nitrite, which does not occur naturally, is capable of reacting with substances called amines in the stomach to form nitrosamines which are potentially carcinogenic. Sodium nitrite has also been implicated in hyperactivity in children, and the UK’s Hyperactive Children’s Support Group (HACSG) recommend its elimination from the diets of children afflicted with this disorder. Worse still however, the Committee gave its final approval for carrageenan to be permitted for use in organic foods of plant origin and in some organic dairy products. Carrageenan, an extract from red seaweed, is believed by some to be associated with the formation of ulcers in the intestines and cancerous tumors in the gut. Nevertheless, it is expected that the Codex Alimentarius Commission will endorse the approval of carrageenan at its upcoming meeting in Geneva, 3-8 July. The Committee is also considering approving the use of “natural sodium nitrate” for use as a fertilizing and conditioning agent in organic soil. Nitrates are capable of being converted to nitrites in the stomach, which in turn are capable of reacting with substances called amines in the stomach to form nitrosamines which are potentially carcinogenic. Like sodium nitrite therefore, sodium nitrate has also been implicated in hyperactivity in children, and the UK’s Hyperactive Children’s Support Group (HACSG) recommend its elimination from the diets of children afflicted with this disorder. Fortunately however the Committee’s discussions regarding “natural sodium nitrate” are still at an early stage, and at least for now there remains a significant amount of opposition to the inclusion of this substance on the permitted list of additives. Finally, and perhaps most worrying of all, the Committee agreed to seek the approval of the Codex Alimentarius Commission to undertake new work on the inclusion of ethylene in the Guidelines for the Production, Processing, Labelling and Marketing of Organically Produced Foods. Ethylene is used to artificially induce fruits and vegetables to ripen whilst they are in transit, and as such its approval for use on organic foods would represent a disturbing step towards WTO-enforced acceptance of the same dubious and unnatural agricultural practices that their non-organic cousins are already subject to. Why does Codex want to water down organic standards in this way? Simple. Organic foods promote better health than non-organic foods by virtue of their containing higher levels of micronutrients. In addition, of course, organic foods don’t contain pesticides, residues of veterinary drugs or genetically-modified organisms. Good health is inimical to the “business with disease”, and this ultimately makes organic foods a threat to the pharmaceutical and chemical cartel; not only because they promote better health, but also because they result in lower sales of pesticides and veterinary drugs – and thus in lower profits. Moreover, and unlike genetically-modified seeds, organic seeds cannot be patented. As such, given that some of the major players in the pharmaceutical and chemical industry, such as Bayer and BASF, are also major players in the biotech industry, it can easily be seen that the rising popularity of non-patentable organic foods is in fact a serious and growing threat to the profits of the “business with disease”. And how is the “business with disease” proposing to deal with this problem? The answer to that question can be found by studying – perhaps not coincidentally – the very next item on the Committee’s agenda. At the previous meeting of the Codex Committee on Food Labelling, in May 2005, it was agreed that the Guidelines for the Labelling of Foods and Food Ingredients Obtained through Certain Techniques of Genetic Modification / Genetic Engineering should be redrafted by a working group led by the Delegation of Canada, in order that they could be reconsidered at this year’s meeting. However the working group was not able to reach agreement on the proposed restructured text, and the development of the Guidelines essentially reached an impasse. The key question the working group could not agree upon was whether or not it should be mandatory to fully disclose the presence of genetically modified (GM) organisms on food labels. Not surprisingly therefore this issue was hotly debated by the Committee during the discussions that took place at this year’s meeting. Contrary to most of the rest of the World, and as reliably reported by the National Health Federation, the general position of the food-exporting Western Hemispheric delegations (Canada, USA, Mexico, and Argentina) at this meeting was that work on this issue should be dropped from the agenda. Naturally, such a development would mean that there would be no international requirement for manufacturers or exporters of genetically modified food to disclose the presence of genetically modified organisms on their product labelling. This is what the big GM food manufacturers want, of course, as they have long realized that growing numbers of people are opposed to GM food products, and moreover that they will not be able to change public opinion anytime soon. 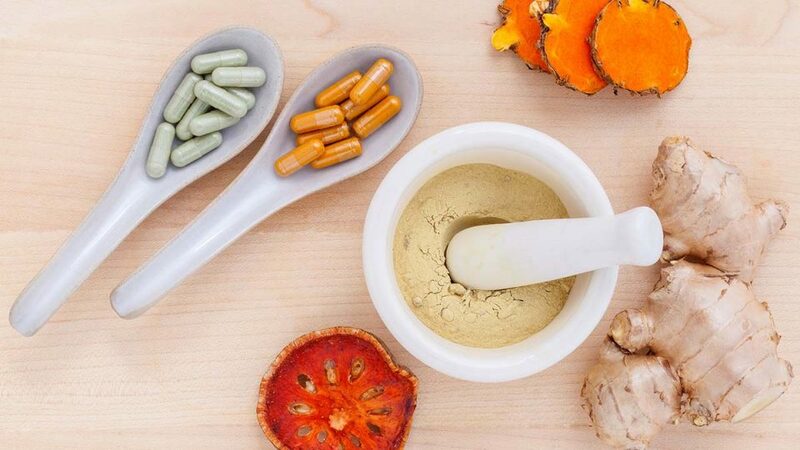 As such, given that some of the major players in the pharmaceutical and chemical industry, such as Bayer and BASF, are also major players in the GM industry, it can be seen that as with bans on vitamin and mineral supplements the pharmaceutical industry is once again positioning itself as a key beneficiary at Codex. To their great credit therefore, some of the national delegates at this year’s meeting not only recognised this fact but openly spoke up in opposition to it. Nevertheless, after a long discussion the Committee was still unable to reach a consensus on this topic, and the Chairwoman accepted Norway’s suggestion for a working group to meet in Norway in January 2007 to consider the issue further. Business as usual, perhaps? On this question, at least, we would concede that only time will tell. One thing is already for sure however, in that neither the Committee’s discussions on organic foods nor those on genetically-modified foods can remotely be described as a “Stunning Victory” for health freedom. Discussions at the Committee’s meeting in Ottawa this year centred around whether or not work on a definition for advertising should be initiated, and if it should, where (i.e. within which Codex text) such a definition should be placed. Regardless however, given that the “business with disease” depends for its survival upon the restriction of any and all means by which consumers can obtain natural health information, potential restrictions on advertising are clearly a key health freedom issue at Codex. After considerable discussion on this agenda item the Committee decided that work on a definition for advertising should indeed be initiated, and, after approval by the Codex Alimentarius Commission at its upcoming meeting in Geneva, Switzerland, 3-7 July, 2006, that the definition proposed by Canada will be circulated for comments and further developed at next year’s meeting of the Committee in Ottawa. Without a doubt therefore, this development can only be viewed as anything but a “Stunning Victory” for health freedom. Moreover, mention of it was curiously absent from press releases and articles put out by the Natural Solutions Foundation. As such, we would argue that seasoned Codex observers would be quite within their rights to wonder why so? Were the founders of the Natural Solutions Foundation even in the room when this agenda item was discussed, one wonders? Truth – The First Casualty of War? The claim that a “Stunning Victory” for health freedom took place in Ottawa at this year’s meeting of the Codex Committee on Food Labelling is just the latest in an increasingly long line of fictitious claims made by the Natural Solutions Foundation in relation to Codex. Their other notable fabrications of this type, for example, include the claim that a miracle had taken place in Rome at the July 2005 meeting of the Codex Alimentarius Commission, and a claim that the WHO and the FAO had expressed “significant displeasure with the anti-health approach to nutrition taken by Codex over the past 4 decades.” In reality, of course, not only have these claims already been shown to be absolutely without foundation, but Janice Albert, a Nutrition Officer from the Nutrition and Consumer Protection Division of FAO, has now confirmed to the National Health Federation that there had been no condemnation by either FAO or WHO of Codex on the subject of nutrition. Of course, we wholeheartedly agree that it would be far preferable if we were able to consistently report good news from Codex meetings. Moreover we are ever conscious of the possibility that continued reporting of “business as usual”, or worse, at Codex could develop into a self-fulfilling prophecy. However, and seemingly unlike the Natural Solutions Foundation, we remain committed to reporting the truth, the whole truth and nothing but the truth. As such, and whilst we fully accept that we are witnessing a war on our health freedoms, we find it both regrettable and disturbing that the oft-quoted maxim of truth being the first casualty of war is now itself being knowingly turned into a self-fulfilling prophecy by the Natural Solutions Foundation. Without doubt, our strongest weapon in this war is the truth. The pharmaceutical industry knows this, and the “business with disease” depends for its existence upon suppression of the facts. As such, inaccurate reporting and exaggeration of the events that take place at Codex meetings plays into the very hands of the pharma cartel itself, and will, in the end, achieve nothing but discredit and failure for the health freedom movement if it chooses to replace truth with misinformation and disinformation spread by the likes of the Natural Solutions Foundation. The Natural Solution Foundation’s own Legal Counsel, Ralph Fucetola, JD, attended the meeting in Ottawa, and provided a report on it to his Vitamin Lawyer contact elist. Fucetola has been practicing law, specializing in Nutrient and Alternative Health Law, since the early 1970s, and has been widely recognized as a leading attorney in the field. Significantly therefore, not only does his report omit mention of any “Stunning Victory”, but it also specifically states that “Both vitamin purveyors and consumers could be the losers” and that “‘business as usual’ predominated” at the meeting. Moreover, Fucetola also describes “a coordinated attack on natural health lead (sic) by the otherwise rival US and EU delegations”, and talks about “the marginalization of the Global Strategy”. Similarly, an experienced delegation from the National Health Federation was also present at the meeting. Established in 1955, the National Health Federation is no stranger to Codex issues, and to this day remains the only health-freedom organization in the world that is officially credentialed as an INGO (International Non-Governmental Organization) by the Codex Alimentarius Commission with the right to attend and speak out at its committee meetings. The National Health Federation’s report on the Ottawa meeting concludes that “with anti-health-freedom delegations such as the United States and the European Commission running the show at Codex and with most other delegations blissfully uncaring or unknowledgeable about the true health benefits that optimal health and nutrition play in preventing disease and other health problems, the direction of the various Codex guidelines is still off-course”. So, do YOU trust the Natural Solutions Foundation – an organization whose website did not even come into existence until February 2005?